This week marks exactly one year since Daybreak officially unveiled its new corporate identity. Since Daybreak was acquired by Columbus Nova and broke away from the Sony umbrella, there have been numerous ups and downs. On the downside, Daybreak was faced with layoffs, the resignation of its president John Smedley and Planetside 2 creative director Matt Higby, and more recently the disappointing cancellation of EverQuest Next. 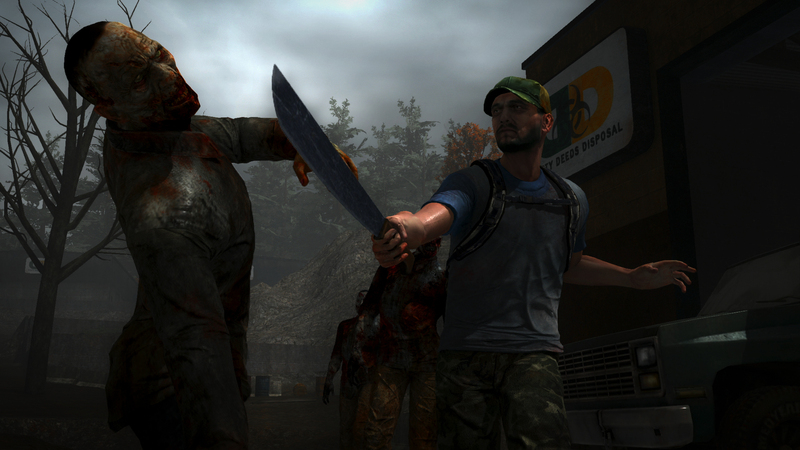 On the upside, however, the company has seen its H1Z1 franchise take off, it expanded the role of Jens Andersen and moved into custom headquarters with a live-streaming studio, and it attracted EA veteran Larry LaPierre to serve as vice president of games as well as Mass Effect and Gears of War veteran Chris Wynn to produce the H1Z1 titles. During GDC, GamesIndustry.biz sat down with Daybreak's chief publishing officer Laura Naviaux Sturr, who reflected on the studio's transition over the last 12 months and what the road ahead looks like. "I think the transition has been very empowering. Daybreak really is entering into a new era. We moved into a brand-new studio last October. We're all under one roof, which has really helped enable more collaboration amongst the employee base and a renewed sense of spirit. We're very much tied to our roots but looking forward to new opportunities as well. We've had 30 percent revenue growth year-over-year, so that's hugely positive. I think a lot of our success has come not just from new titles but also our legacy titles," she began. "H1Z1, [was in the] top five new releases on Steam last year. We released it on Early Access and it was like all of our products, more like a slow burn. [So we thought] 'Let's see where we're going. We don't really know what we have and we're going to work alongside our community to develop it' and every step of the way it just shocked and surprised us in very awesome ways. And that's really what led to some of the more recent decisions on that particular franchise. DC Universe Online continues to be strong and we're bringing it to Xbox this spring. And EverQuest, it's hard to believe, will turn 17 next week. Both [EQ and EQ2] will have fully fledged expansion packs this fall. And then there's PlanetSide 2, of course, which we brought to PlayStation last year." "You really have to commit as a developer... the development team really has to ingest that feedback into the work flow and be able to pivot and course correct and make adjustments"
With the acquisition by Columbus Nova, Daybreak was faced with some hard choices and lost about 140 people. Sturr believes that the studio is ultimately in a better position for the long run, however, and the company even brought back "quite a few" of the people it let go. Daybreak isn't sharing exact headcount, but Sturr said the company has been in growth mode. "If you look at our career page, it's full. So all the indicators of health are there," she said. One of the more interesting moves for Daybreak in the last year was how it embraced Steam's Early Access model. Early Access is not typically a home for large companies, but that could be changing. "I think you need to go into Early Access eyes wide open. And it's not for everybody but I think you'll see the tide turn where more companies do turn towards it," Sturr said. "Especially for games with longer product life cycles. The business model certainly factors into it because games with longer product life cycles tend to not be the premium AAA games that have a window of time where they explode onto the scene. For our games, Early Access makes a lot of sense because we know that we're invested 5 to 10 years or in EverQuest's case, 17, and in order to really have a game that has those kind of legs, the community's got to be behind it. And what better way than making sure that they're part of that process from day one?" Similar to Kickstarter, identifying which feedback to really lean on and incorporating it into the project is absolutely vital to success on Early Access. "You really have to commit as a developer... the development team really has to ingest that feedback into the work flow and be able to pivot and course correct and make adjustments and I think that that's one thing that Daybreak does really well is that we are fairly nimble. We've been doing games as a service since our inception. It's in our DNA," Sturr continued. "So we know how to take community feedback and make a better product from it. Is it always a cakewalk? No. Because you've got different sectors of the community and they may give you different feedback and you have to take that and I guess that's really where the expertise comes into play. How do you take that feedback, prioritize it, and try to do what's best for the health of the game?" Early Access as a model may not be for everyone, but just as with free-to-play, it's good for the industry to have another option, Sturr said. The fact that the console world is starting to embrace free-to-play and Early Access-type efforts like the Xbox One Preview Program is a net positive. "I think it's just healthier for the game industry to support products of all kinds across all different spectrums of their life cycle and even free-to-play on console. I think it's been this whole new category that's so complementary to the premium experience. And as a consumer, knowing that I can sit down on a Sunday morning and fire up my PlayStation and I've got all of this free content available to me makes it that much more of a compelling game experience... And I also do think it's great for smaller developers, which is a good thing for the industry. It means more people have more opportunities to make games that haven't been made before. And games that didn't have an opportunity before can get made because they're able to have a revenue stream earlier on in the process. So I think it's a good thing for our whole industry," Sturr commented. "Where free-to-play's helpful is in gameplay globalization. So when you feel like you have a game that resonates in Asia probably some component of the game is going to have to be free-to-play"
Speaking of free-to-play, while SOE seemed to be laser focused on the model, Daybreak is clearly looking at the game business differently nowadays. "I don't think it's one-size-fits-all and business models need to be carefully considered and weighed for the genre, the audience. Time's have changed because just a few years ago it was a very different story than it is today and a very different narrative. So I think you need to be very practical about 'What are your long term goals? What's your long term strategy?' And where free-to-play's helpful is in gameplay globalization. So when you feel like you have a game that resonates in Asia probably some component of the game is going to have to be free-to-play in order for it to be distributed and do well and in some of the other emerging markets too," Sturr explained. "I also think it depends on where you are in your product life cycle. So for H1Z1 right now it makes the most sense to keep a modest download fee and then have optional microtransactions layered on top. And some of that is to curtail hacking and cheating and preserve the gameplay experience. So, again, I think that it really depends on the right time, the right place, and what works for that particular game and audience." H1Z1 has not only helped Daybreak move past the free-to-play mold - it's been split into two separate titles for $20 apiece - but it's enabled the studio to move into the burgeoning field of eSports. The inaugural H1Z1 Invitational was the most viewed event at the very first TwitchCon in 2015, garnering over 118,000 concurrent viewers and leading to more than $173,000 in cash prizing. Now Daybreak is getting ready for the second H1Z1 Invitational at the next TwitchCon this fall, and just last week the company announced that its first four seats at the competition will go to eSports organization Echo Fox (founded by NBA star Rick Fox in December 2015) - this marks the first-ever involvement of a professional eSports club in an officially sanctioned H1Z1 event. "[eSports] has the potential to be enormously huge [but]... it's something that the community really drives. We view our role as more of a support system around that ecosystem. How can we set up the tools and the spectating experience and enable the infrastructure and the foundation to be there for it to grow organically and in parallel? The worst thing you could do is almost outpace your community. So you just want to grow alongside it and have it be in parallel and symbiotic," Sturr said. "The worst thing you could do [in eSports] is almost outpace your community. So you just want to grow alongside it and have it be in parallel and symbiotic"
"When we went into TwitchCon it was an initiative that didn't [require any discussion]. It was literally like 'This all makes sense. Let's do it.' So we put together a plan and we have had broadcaster support since day one, so we're so grateful that they're behind the title. I think the way that we orchestrated it was really smart in that we had this lead up to TwitchCon so by enabling people to practice and qualify and be part of this experience alongside the community on the road to it extended its legs and really brought it into the forefront. Twitch regularly tells us that we're sort of the model for success for companies at TwitchCon. We're doubling down this year and want to make it even bigger and better." Aside from eSports, the other big buzzword on everyone's lips these days is VR, of course. And while former Daybreak boss John Smedley told us a year ago that "we're very excited about VR [and] we're going to try to integrate that into as many games as we can," that's looking doubtful for Daybreak in the near-term. "We're paying a lot of attention, more than intrigued, experimenting, [and have] lots of conversations happening. But we also know what we do. We make online games, massively multiplayer online games... so I think we're trying to figure out how does this index against our core mission and our core values as an organization of what we build day in and day out and how does it augment that experience?" Sturr remarked. "And I think you'll start to see a lot of different [VR] genres emerge... Even looking at mobile, if you look at a list of the top ten genres on mobile they're ridiculous terms like endless runner. So I think you'll see a lot more of that happening in VR, where we hadn't even thought that this experience could be a game. And I think people are just fascinated by the potential of it and it's something we're taking a hard look at." Some, like Jesse Schell, have predicted that VR is actually the perfect technology for studios creating online worlds or MMO-type experiences, and Schell himself believes that VR will bring about the return of MMO subscriptions. Sturr added, "I think the whole notion of VR being premium based content, everyone understands that - you know, things always come full circle and I could see a world where after all the evolution that's happened in our space, in PC gaming, in console free-to-play gaming, that we almost hit the reset button for VR and start back at the beginning and we watch that evolve and they'll probably take a lot of pieces from our playbook and apply it to the VR model and we'll see how that goes. "The reality is that people are probably over-investing right now in order to be first to market and take advantage of the novelty and nuance of it being a brand-new piece of tech and it probably won't come to bear for - if you read any of the analyst reports or what people are predicting - it's really going to take 3-5 years until it'll really be mainstream. And so in the meantime, people will over-invest, which isn't a bad thing because it's going to push the tech forward." "I could see a world where after all the evolution that's happened in our space, in PC gaming, in console free-to-play gaming, that we almost hit the reset button for VR and start back at the beginning and we watch that evolve"
Who knows, perhaps a future EverQuest could find itself thriving in VR? For now, though, Sturr wanted to make clear that EverQuest is still very much a core franchise for Daybreak despite the sudden cancellation of EverQuest Next after years of development. "It's heartbreaking to have to cancel games. They're a labor of love, especially with a community and player base that's as engaged as the people who love EverQuest over the years. But I think the reasons that we did it were so sound and exactly what we want to see in the industry - that if a game isn't finding that fun factor and isn't going to live up to expectations, it's not just in our best interest as Daybreak, but it's in the players' best interests for us not to release that game. And there are high expectations for the EverQuest franchise and we probably set them higher than anybody and we really want to live up to what we know Norrath [where EQ Next was to take place] can deliver - I think you'll see more of Norrath to come I guess is a better way to put it. EverQuest is just near and dear to our hearts as it always has been. And the lessons learned are probably no different than the fundamentals of game development. You find the heartbeat, you find the fun; we did some amazing things on the technical front that really blew industry insiders' minds and maybe there's something in there that we can use in the future. Who knows what the possibilities are?" But why did it take so long for the studio to realize the game wasn't fun and should be canceled? In the end, it was those technical features that "blew minds," like emergent AI, that dragged the project down. "We were trying to push the envelope so hard on the programming front so we spent a lot of our time just getting it to work... [building] the fundamental pieces before you could even start game design and so that's what led to a longer life cycle of prototyping because of how much work we had to do on the technical front," Sturr acknowledged. "I'm focused on moving forward and making EverQuest an experience that can live on to the next generation of gamers," she said.